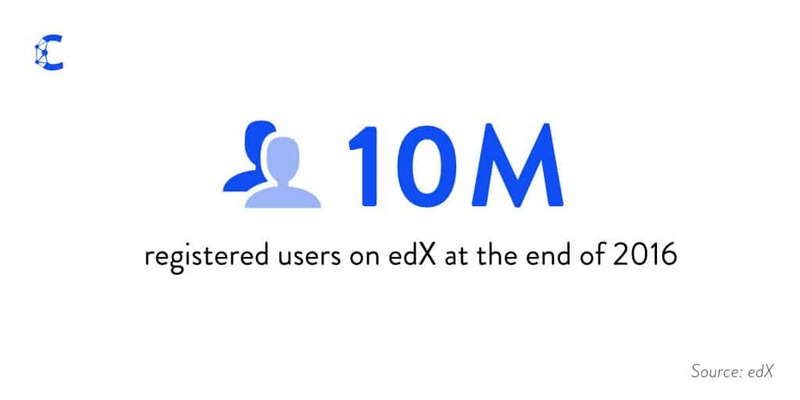 By the end of 2016, edX will cross ten million registered users. EdX is the second largest MOOC provider in the world but, compared to Coursera’s 23 million registered users, it’s a distant second. EdX seems to be closing the gap on Coursera. It added four million new users this year, compared to Coursera’s six million new users in 2016 (six million being the same number Coursera added in 2015). EdX made further inroads in its push for credit by expanding its MicroMasters program, which has now been adopted by fourteen universities located in eight different countries. I will talk a bit more about MicroMasters and how it stacks against other credentials below. Thirteen new partners joined the edX consortium, including Oxford university. 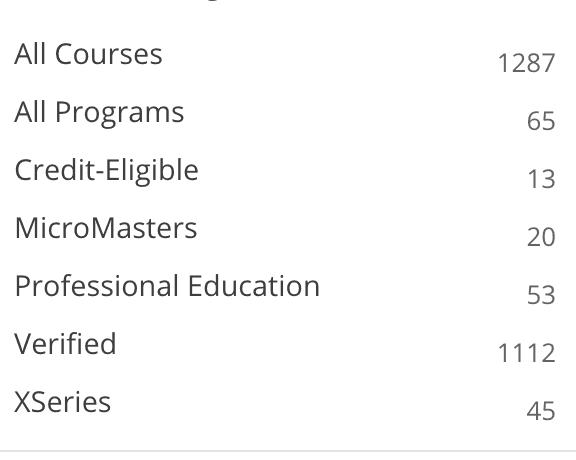 As with other providers, there are multiple ways for learners to pay for edX courses: verified certificates, professional education, credit-bearing courses, XSeries, and MicroMasters. 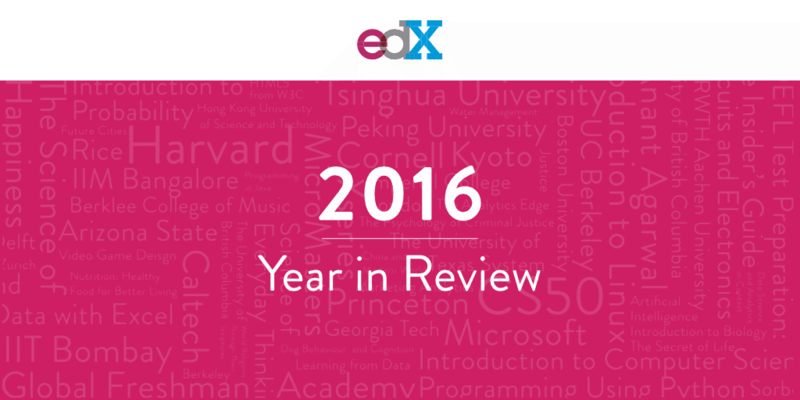 To learn more about edX’s 2016 in detail, keep reading. By the end of the year, edX will cross ten million learners, and those learners will account for more than 33 million course enrollments. Four million of those learners were added just this year. EdX also received over twelve million course enrollments in 2016. At the time of writing this post, edX is offering close to 1,300 courses, 500 of which were added in 2016. Out of 1,300 courses, 53 are completely paid (also know as Professional Education) and 13 are credit eligible. Most of these credit eligible courses are part of ASU’s Global Freshman Academy. According to analysis by Class Central, the average cost of an edX certificate is around $53. 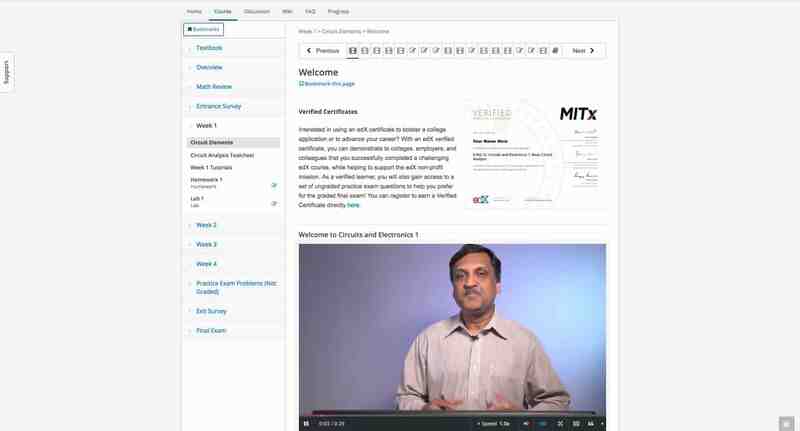 EdX also offers two types of credential: XSeries and MicroMasters. Both of these consist of a series of courses, but the MicroMasters are also eligible for credit and can count towards a Masters program. Currently edX has 45 such XSeries and 20 MicroMasters programs. Oxford university, which had resisted offering MOOCs for a long time, finally joined edX in 2016, and it will be offering a MOOC on edX next year. It’s been almost four-and-a-half years since edX launched as a non-profit with $60 million from Harvard and MIT. Given the number of employees it has (around 150–200), that money would not have sustained edX till now and edX would have had to rely on revenues. Similar-sized companies in the MOOC space like Coursera and Udacity have raised $146 million and $163 million. Possibly due to these revenue pressures, last year edX stopped offering free honor code certificates. If I had to speculate, in 2016 edX will make around $20–30 million from their partners and from the sales of certificates and other credentials. According to the documents obtained by The Chronicle, edX has two different models. edX will collect the first $50,000 generated by the course, or $10,000 for each recurring course. 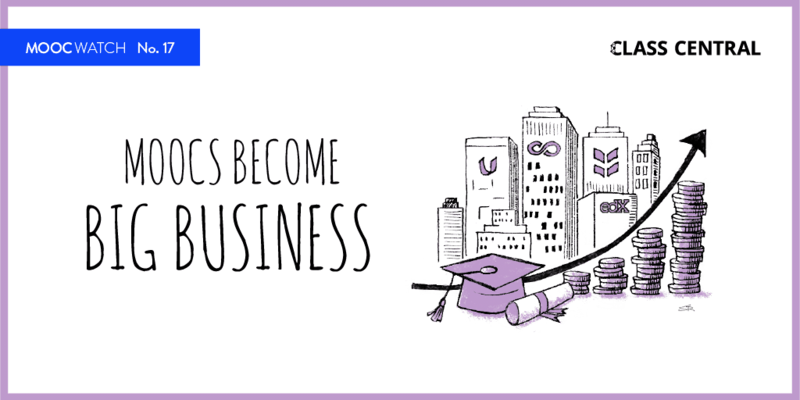 The organization and the university partner will each get 50 percent of all revenue beyond that threshold. edX charges a base rate of $250,000 for each new course, plus $50,000 for each time a course is offered for an additional term. The university gets 70 percent of any revenue generated by the course. In this model edX offers production assistance to universities for their MOOCs. The University of Amherst (which declined to join edX) was invited to pay to join edX for some cost — $2 million for five years. This is what learning on edX looks like in December 2016. The user interface for edX has basically been the same since it launched almost five years ago. But behind the scenes, Open edX — the open source platform that powers edX — has evolved a lot, and it has been adopted by a number of institutions around the world. EdX and MIT piloted the MicroMaster credential in Supply Chain Management last October. In September this year, the MicroMasters credential was adopted by fourteen universities located in eight different countries: India, Spain, Belgium, Guatemala, Hong Kong, Australia, the Netherlands, and the United States. 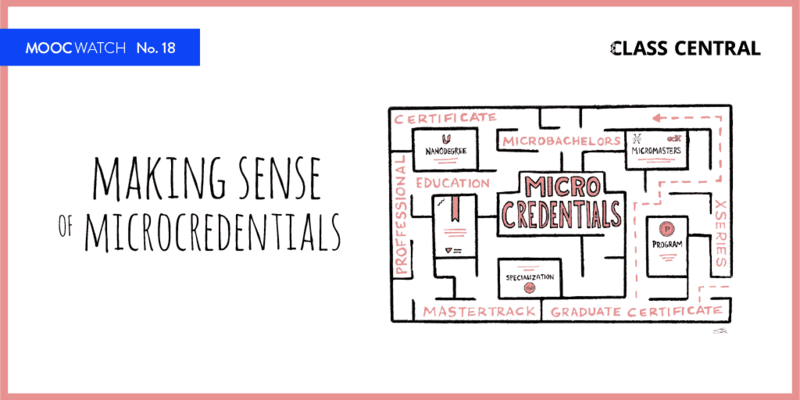 In concept, the MicroMaster credential is very similar to other MOOC-based credentials, like Coursera’s Specialization or even edX’s own XSeries Programs. All the courses that are part of a MicroMaster can be accessed for free. 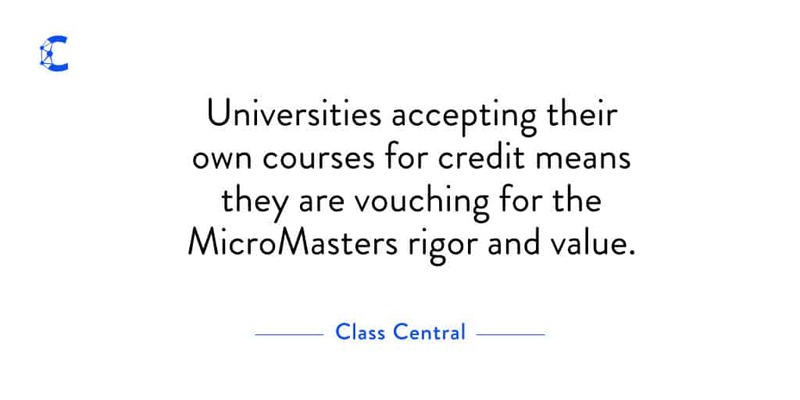 But there is one big difference: the MicroMaster program grants credit that counts towards a Masters degree, if the learner who earned the credential is accepted into the on campus program. Usually a MicroMaster counts towards one semester’s worth of Masters credit from the university which is offering the MicroMaster. This can reduce the cost and time required to achieve a full Masters degree. For example, if you complete an Artificial Intelligence MicroMaster from Columbia University, it will count towards 25% of the coursework or 7.5 of the 30 credits required for graduation from the on-campus Master of Computer Science program. Of course, for the credit to count you still have to apply to Columbia’s CS program and be accepted. The cost of this AI MicroMaster is $1,200, which is significantly less than the cost of one semester at Columbia. According to edX’s CEO (Anant Agarwal), since Global Freshman Academy and MicroMasters, edX has invested heavily in the last year-and-a-half to develop a number of mechanisms to achieve improvements in the rigor, which includes both quality and integrity. These mechanisms include randomized problems for exams; timed exams; peer grading for free learners and hand grading for certificate earners; virtual proctoring; timed exams that disappear after the exam is submitted; teamwork and projects through the team mechanism; a significant focus on accessibility; and so on. For students who do not plan to apply for a Masters degree, the MicroMasters can also be one of the strongest credentials in terms of signaling in the job market. Universities accepting their own courses for credit means they are vouching for the course’s rigor and value. 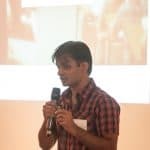 That is, by creating a tangible real world outcome, it also makes it easier for a jobseeker to communicate what the credential means to an employer, who is most probably not aware what a MicroMaster represents: one semester of workload at the credit-granting university. The average cost of a MicroMaster is around $850, while the cost is $200 for an XSeries credential. 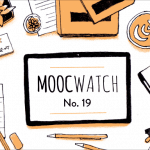 MicroMasters aren’t the only credit-granting MOOC-based credential. A few FutureLearn Programs offer credit, and so do Kadenze Programs. Recently, OpenLearning launched learn.com.au to offer vocational training courses, in which you can gain Australian accredited qualifications. That is unfortunately true. In my opinion edX has the worst UI that looks not only boring but is also sometimes confusing. I am surprised they keep it that way while all the other big MOOC platforms are constantly working on their user interface. Thanks! This is useful information to know. I can tell you also that the course pooling clause that is mentioned is not in use any more. I really enjoy the EdX platform. I have taken a couple of full classes and participated in some of other classes. These are stand-alone, or part of an x-series. I even paid for a verified certificate. I found the courses rigorous and valuable. I recently signed up for a micro-masters series, and upon reading the ‘fine print’ (though not too difficult to find), once you complete the series, you may then register for the ‘rest’ of the masters program at university. The micro masters series (very time consuming and expensive) MAY count as a few units toward a full masters program (that you must then apply to and pay for). I have to say that this really bothered me. If you have every purchased an expensive app, for example, because of great reviews and functionality, just to find when you want to perform a particular function, you then have to purchase the add on, this is what it felt like. I am taking EdX courses as professional development courses. I am specifically taking them so that I don’t HAVE TO go back to school to earn a full degree in order to learn a subject. The new series courses feel like they are marketing for university (try this, get excited about it, and if you want to really learn the information, register for classes at university). I already have my degrees, and I finally paid off my student loans. It really feels like a recruitment tool to get you to go to university, and get yourself back into debt. I feel these courses go agains the original mission of the ‘free’ online community of learning. I am going to un-enroll from my micro masters series, and avoid all future courses.